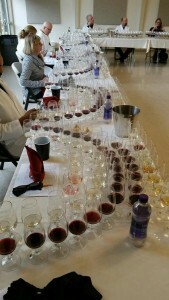 So there we were: Twenty wine judges tasting through the over 70 Best of Class gold medal winners at the Sweepstakes Round of Vineyard & Winery Management’s 24th Annual Grand Harvest Awards. It was so quiet in the room you could hear a pin drop and an occasional chime of two glasses making incidental contact. 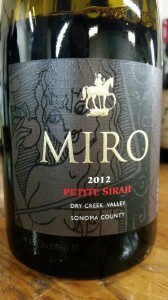 But when all the contenders were tasted, the Best of Show wine was the fabulous Miro Cellars 2012 Petite Sirah, Dry Creek Valley ($30). The Madara Horseman on the Miro Cellars label is based on a Bulgarian monument carved in bas relief on a cliff twenty three meters above ground. This mysterious sculpture was created at the beginning of the eighth century during the birth of the Bulgarian nation. In hindsight, I remember our panel tasting this wine and thinking how generous the fruit was, the layers of flavors and spice, and that long smooth finish. So once the winner was revealed, I wasn’t surprised that this magnificent Petite Sirah was made by Miro Tcholakov, one of the great winemakers of Sonoma County who tends to roll under the radar. After coming to California from his home country of Bulgaria, Miro worked at Dry Creek Vineyards and eventually became head winemaker at Trentadue Winery in Geyserville. 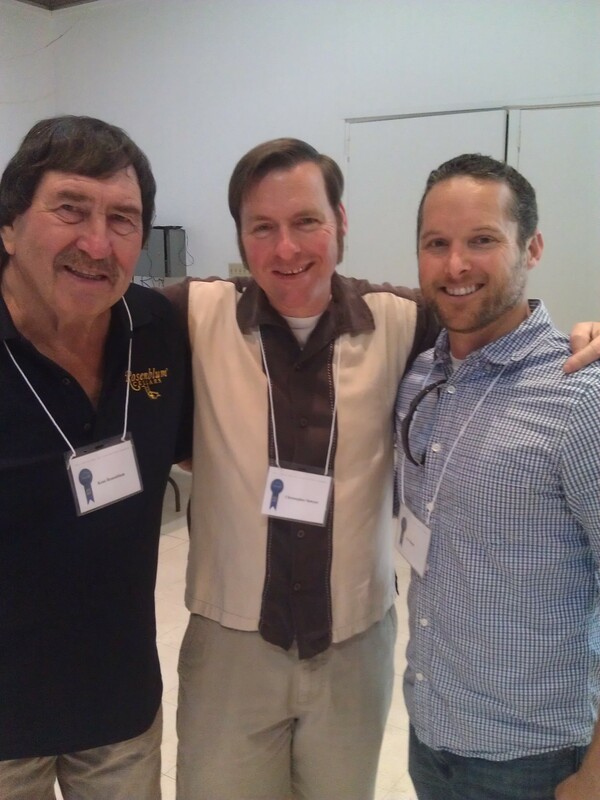 On the side, Miro and his family started making Miro Cellars wines in 2001. Coincidentally, the debut release was…Petite Sirah, of course. 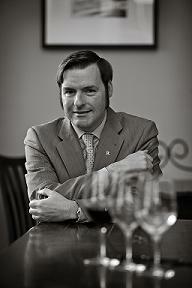 For more info on Miro’s new releases, visit www.MiroCellars.com. From a pool of nearly 1100 entries, the other awards included 82 Best of Class, 39 Double Gold, 161 Gold, and 450 Silver medals. 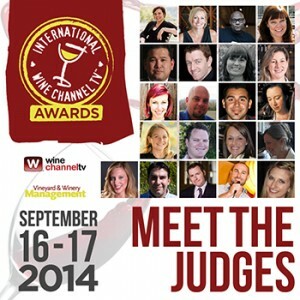 Judges included winemakers, wine buyers, distributors, media personnel and other wine industry professionals who not only recognized the best wine submissions but possessed the level of knowledge and expertise needed to assess the wine’s terroir. SawyerSomm notes, as tasted with fellow judges Alisa Nemo of Handley Cellars and Thrace Bomberger of Walt Wines: Seyval Blanc is a French-American hydrid created by Frenchman Bertille Seyve around 1920. Made in stainless steel, this bright and expressive white wine has lively floral aromas of spring flowers, geranium and citrus. On the palate, a mixture of ripe melon, papaya, grapefruit, mineral, and a long graceful finish. Pairings: gourmet salads, grilled fish, chicken skewers with tangy citrus aioli. www.HuntWines.com. SawyerSomm notes, as tasted with fellow judges Alisa Nemo of Handley Cellars and Thrace Bomberger of Walt Wines: Not to be mistaken with Pink Zinfandel, this is a fantastic example of a classy dry Zinfandel rosé with fragrant aromas and lively flavors of wild strawberry, peach, plum, red cherry, anise and orange rind. Pairings: tangy cheeses, fresh berries, tostadas, Paella and spicy Indian cuisine. 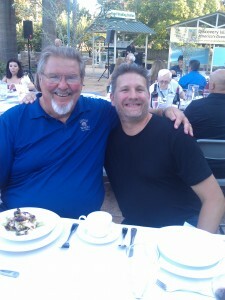 www.TruettHurst.com. Best of Show and Best Red Wine: Miro Cellars, 2012 Petite Sirah, Dry Creek Valley ($30). www.MiroCellars.com. Best Sparkling Wine: Gloria Ferrer Caves & Vineyard, 2006 Royal Cuvee, Carneros ($37). www.GloriaFerrer.com. Best Spirit from Grapes: Petroni Vineyards, Grappa di Lorenzo, Sonoma Valley ($45) . www.PetroniVineyards.com. Best Fruit Wine: Heritage Vineyards, Jersey Blueberry, Outer Coastal Plain ($10.99). www.HeritageWineNJ.com. 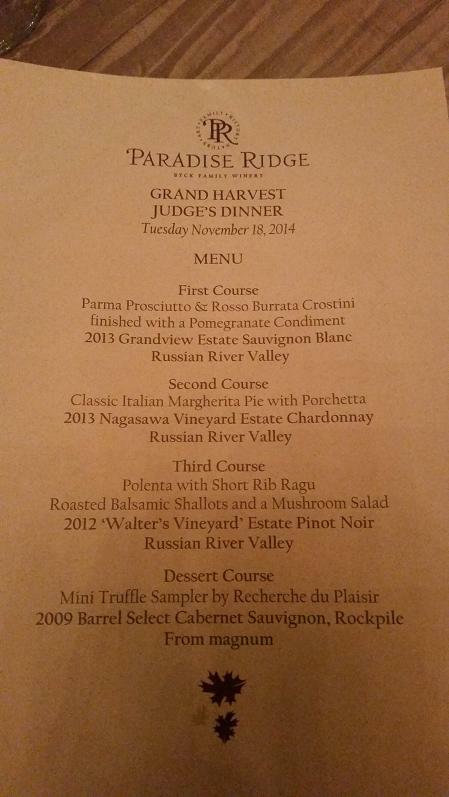 Best Late Harvest/Dessert Wine: Stephen & Walker Winery, 2012 Chardonnay Botrytis, Mendocino Ridge (Tbd). www.trustwine.com. 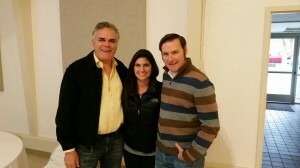 Sonoma Valley represented: Hamming it up with Winemaker Michael Muscardini of Muscardini Cellars and Winemaker Katie Madigan of St. Francis Winery. Established in 1990, Grand Harvest Awards seeks to uncover the distinctions of terroir by grouping wines for evaluation by appellation and variety. Wines are judged in the context of their viticultural regions in order to recognize the complexities and nuances of regional wines, and also to observe the influence of regional soil and climate characteristics on the taste and quality of individual wines. 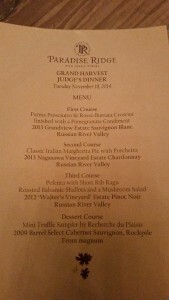 Dazzling Judges Dinner menu prepared by Rosso Pizzeria at Paradise Ridge Winery. “This unique wine competition showcases the diversity of terroir and we are pleased to be part of the research and promotion of allits regions in the U.S. and beyond,” said Robert Merletti, President and Publisher of Vineyard & Winery Management magazine. Full results for the competition are posted on www.winecompetitions.com, a website developed by EnofileOnline for Vineyard & Winery Management to house all six of its wine competitions, and on www.enofileonline.com. Official sponsors of the competition included Hilton Sonoma Wine Country, Penta Ultra-Purified Water, Graber Olives, Wine Country Shipping, Alsco, Costeaux French Bakery, Lagunitas Brewing Company and Sonoma Cider. And last but not least, great thanks to my good friend Debra Del Fiorentino, who did a great job as the Chief Judge at this year’s competition. See www.vwmmedia.com for more information. Stay tuned for news from the upcoming San Francisco Chronicle Wine Competition 2015, the largest competition of American wines in the world, January 6-9. To enter wines in the competition before the deadline on December 10th or for information about the special early bird’s ticket price to the SFCWC Public Tasting on Saturday, February 14 which ends on New Years Eve, visit www.winejudging.com. 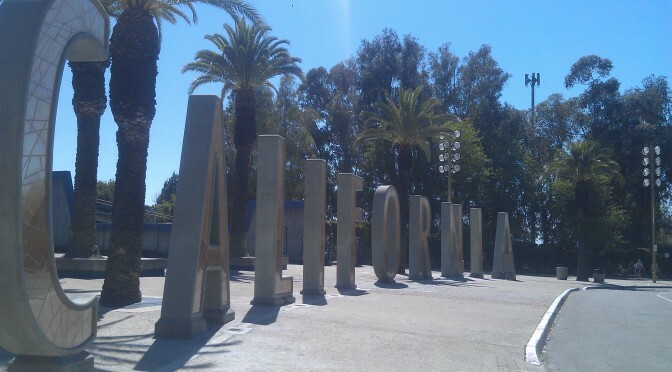 California State Fair Wine Competition: Winners Announced! Results are in for the California Sate Fair Wine Competition! Follow this LINK to download details. Action shot: Hanging out with fellow judges, winemakers Kent Rosenblum of Rock Wall Wines and Joe Shebl of Renwood Winery. Judges Dinner at The Farm at CalExpo with rockstar winemakers Gary Eberle of Eberle Winery and Chris Leamy of Terra d’Oro Winery.